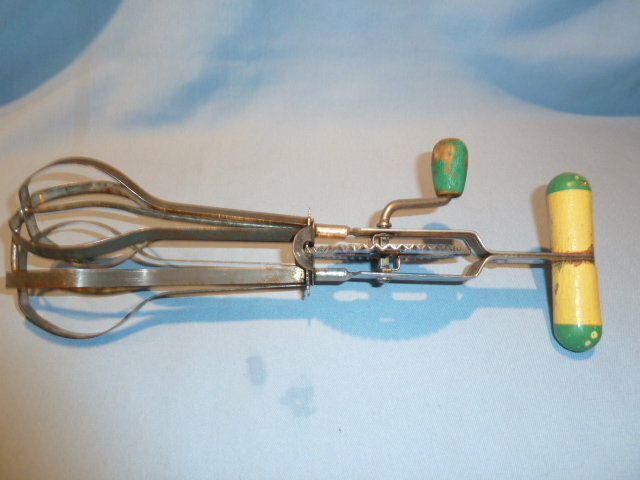 Old Hand Held Egg Beater Mixer. 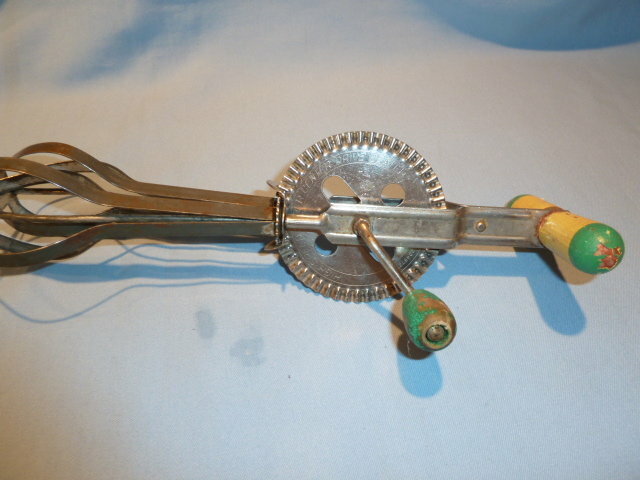 Made by A & J, marked High Speed Super Center Drive Beater it has two beaters with a solid wheel mechanism. Wood handle is green and ivory, knob is green. Measures 11 1/4 inches long. Is old and has been used. Still works fine and is in good condition. 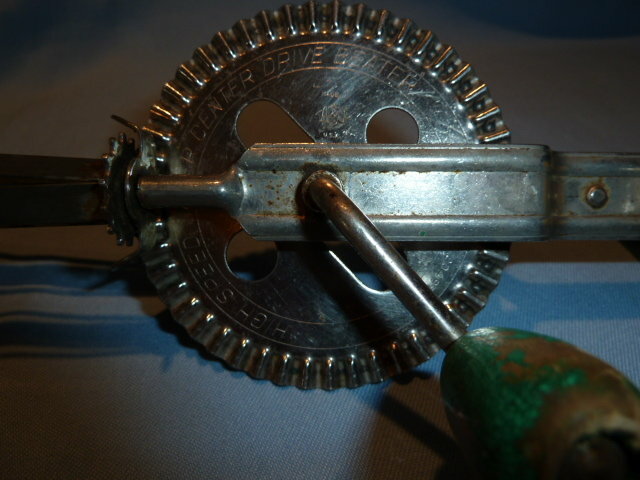 Items Similar To " VINTAGE A & J SUPER CENTER DRIVE HAND BEATER MIXER"